When it comes to party food, I’m a fan of easy, delicious, and cute. 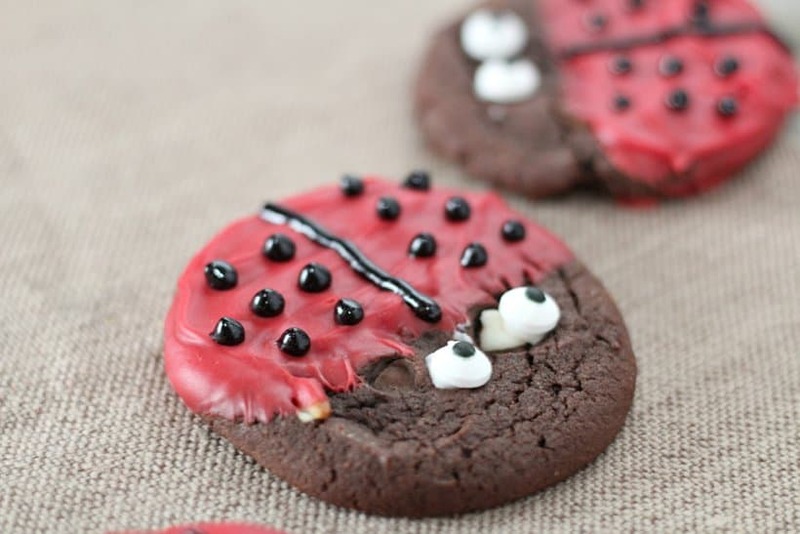 These Ladybug Cookies definitely fit that description. 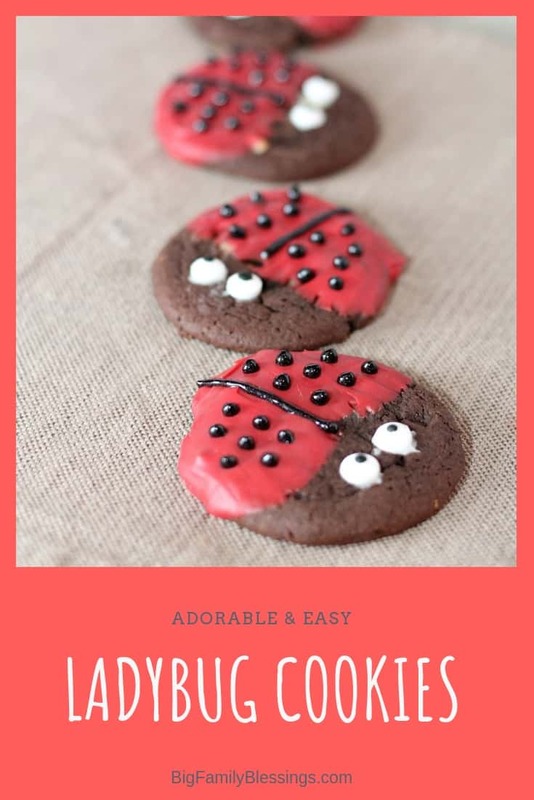 Simply grab a package of already made chocolate cookie dough, or whip up a batch of your favorite chocolate cookie recipe and then get started creating these easy and adorable Ladybug Cookies! 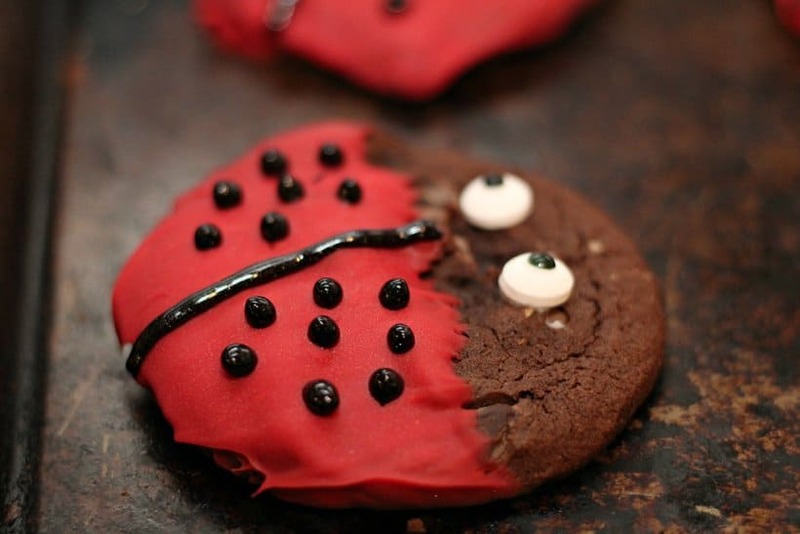 These cookies could be called “Love Bug Cookies” and served at a Valentine’s Day gathering. Or make them with your daughter and her friends at her next playdate or sleepover party. The party possibilities for these adorable cookies are endless! Start by rolling your cookie dough into 1 to 1 1/2 inch balls. Baking according to instructions and let cool completely. Melt down your red chocolate. Place it in the microwave in 20 second intervals, stirring frequently until melted down. 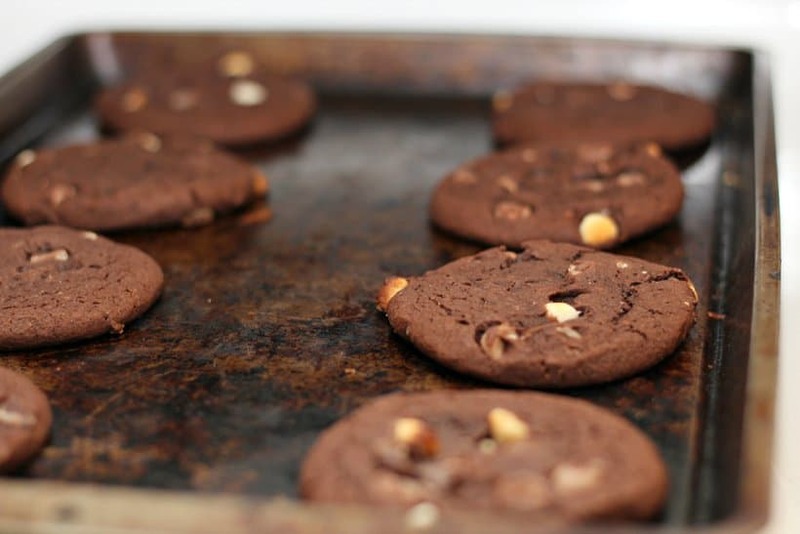 Dip half of your cooking in the red chocolate and lay on a cookie sheet to set, as shown. Melt down your white chocolate in the same way. 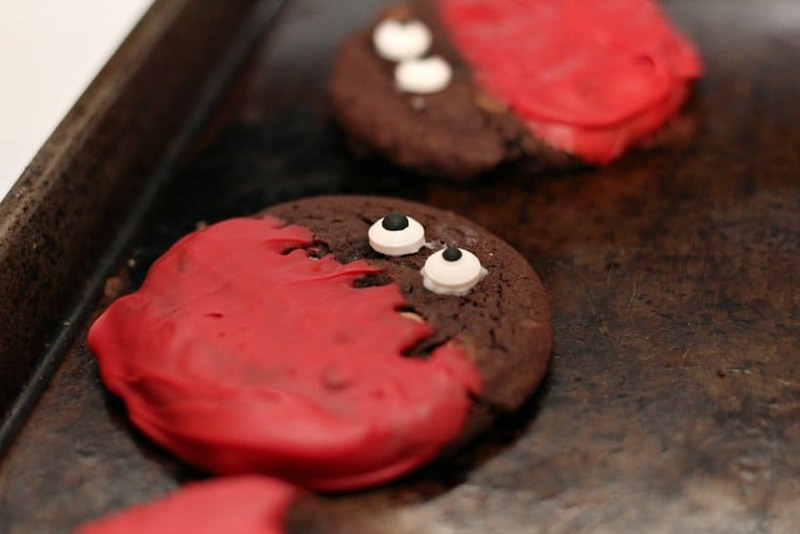 Dip the back side of your candy eyes into the chocolate and place them on the top of the cookie. Let harden and set, as shown. 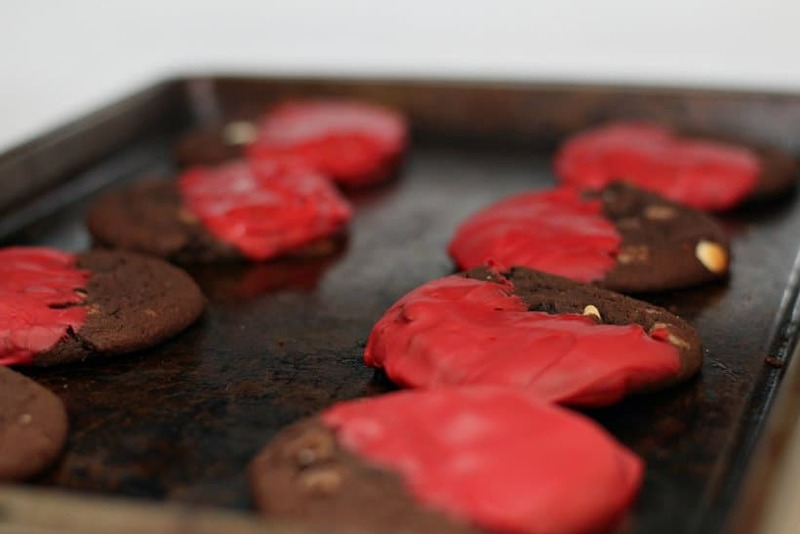 Once all chocolate is set and hardened, decorate your red chocolate portion of the cookie with the black gel icing. I decorated mine as a lady bug, as shown. So cute and easy aren’t they! 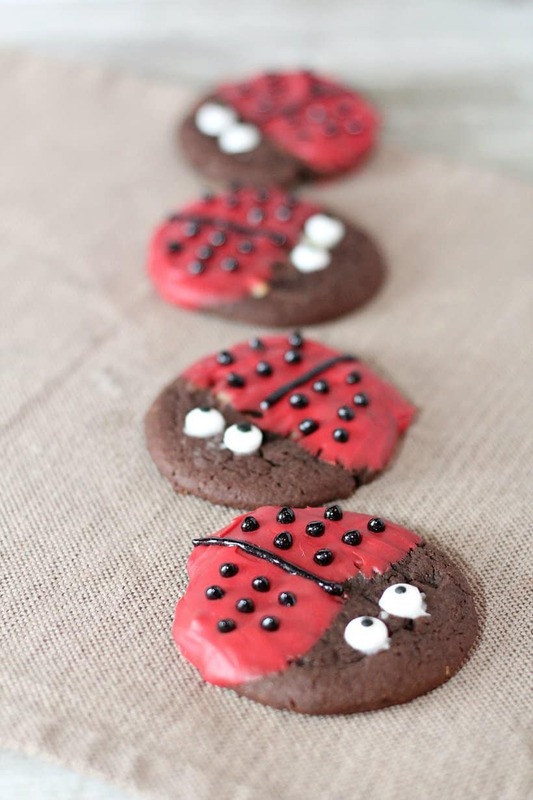 If you love ladybugs be sure to check out these adorable Love Bug Cupcakes too!